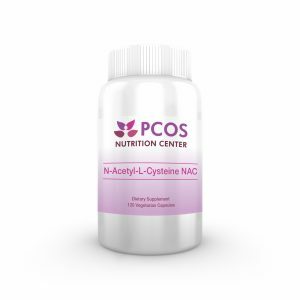 The main treatment approach for the millions of women who suffer from polycystic ovary syndrome (PCOS) is diet modification, yet there’s a dearth of real-world recipe guides to help these women put such dietary rules into daily practice–until now. 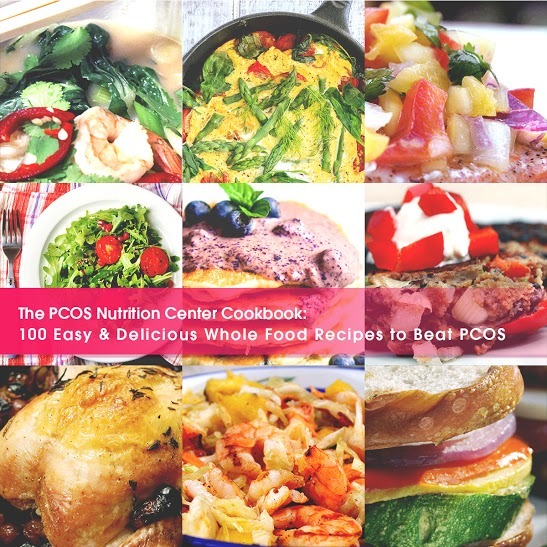 Created by the registered dietitian nutritionists from the PCOS Nutrition Center, women who have PCOS themselves, this cookbook provides a summary of science-based know-how on what to eat (and what to avoid), as well as easy and delicious whole food recipes, to beat PCOS. Recipes include a variety of slow whole grains, lean proteins, healthy fats, and plenty of fruits and vegetables proven to prevent disease, boost fertility, lose weight, and optimize health. The PCOS Nutrition Center Cookbook includes a bonus four-week meal plan along with weekly shopping lists that help take the guesswork out of meal planning. This cookbook will help you rediscover the pleasure of making and eating food that is both good and good for you. Cookbook includes recipes for breakfast, lunch, dinner, and snacks. Nutrition information provided for all recipes so you know exactly how much calories, carbohydrates, fat, protein, fiber and sodium are in each dish. What are you waiting for? Start eating and living better today! 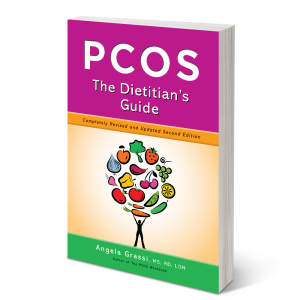 Kudos to Angela Grassi and Natalie Zaparzynski for publishing an amazing cookbook and resource for women with PCOS. I provide nutrition therapy for women with PCOS and nutrition is the key component of their treatment. This is the first cookbook that features recipes and meal plans that optimize nutrition for PCOS management. The authors both have PCOS and are registered dietitian nutritionists. The recipes are wonderful and I have prepared the Mini Quinoa Kale quiches many times. I appreciate the easy to read format, nutrition information and great color pictures so I know what the dish will look like. I will continue to recommend this book to all my patients with PCOS and to anyone who likes fresh recipes ideas that promote health and wellness. 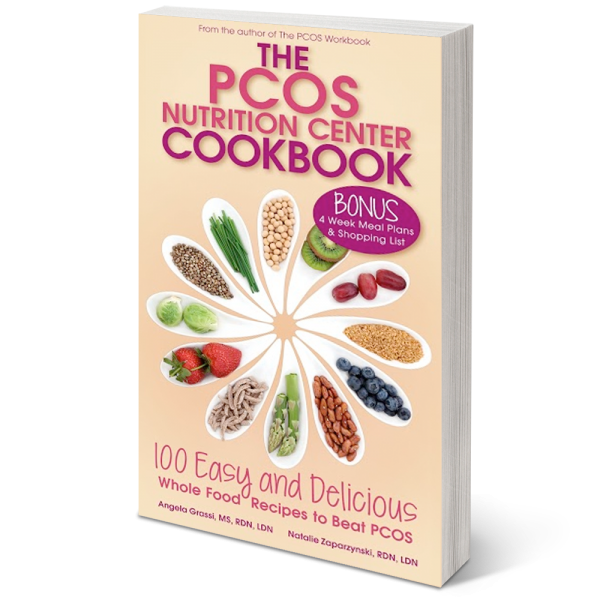 Women with PCOS who want to eat more healthfully now have a terrific cookbook available to them. 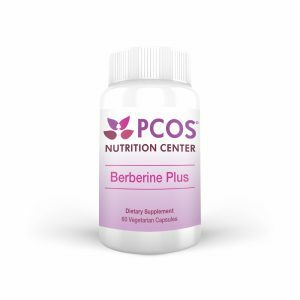 There is so much stress over eating when you have PCOS. This book has helped me stay on track with some delicious and easy meals your whole family will enjoy. I also recommend the diet guide and workbook. 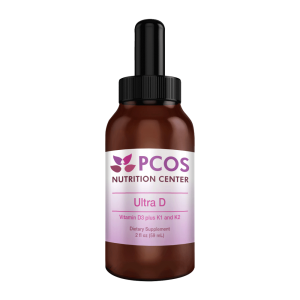 These tools have helped me get a better perspective on my PCOS. A big thank you to Angela for writing these books! As a registered dietitian, I always welcome books that help people eat better. This book focuses on helping women with PCOS control their health through whole foods, but I think the book would be useful for anyone who wants to eat a healthier diet. I love the simple, colorful layout. The recipes are simple to follow, with tips on ingredients. For those who are interested, Grassi includes brief discussions of the nutritional principles she recommends. 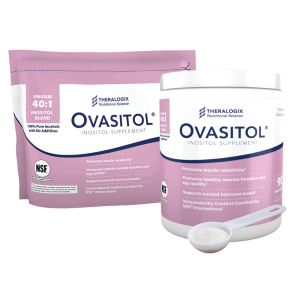 I definitely recommend this for women who are dealing with PCOS. This is a very informative book with easy and delicious healthy recipes. I’m very satisfied with this purchase! This is the best book out there detailing a “food as medicine” approach to handling your PCOS. The recipes are delicious and easy. The meal plans and shopping lists make it manageable. I cannot say enough about this book. We particularly love the salmon with mango salsa and breakfast quinoa! Great cookbook! It’s great to have realistic recipes and meal plans. And the weekly shopping list makes it so easy. I’m a somewhat picky eater and these recipes are varied and flexible enough for someone like me, and great tasting. I don’t feel like I’m eating twigs and berries all the time. Made the lemon blueberry pancakes yesterday ~ delish!! They don’t look as nice as the ones in the book, but really, it’s all about the taste. This book has been my lifesaver as I start this new journey in my life. I have made about 10 of the recipes in 2 weeks. Everything I have made I have loved, especially the Pumpkin Steel Cut Oats. This recipe is easy to make and delicious. I have made it a couple times and I found the best way to make it is to not stir it at all while it is cooking. I usually make it when I am going to bed. Then 8 -10 hours later it is finished. If it is not stirred it has a consistent of pudding on the top with the oats on the bottom. It is the perfect breakfast for someone like me that has very little time in the morning. It is great for this time of year (Fall) and keeps me full until it is lunchtime. Thank you for a great recipes!! This cookbook is filled with innovative and tasty recipes that are easy to make at home. It is full of fantastic recipes that my family loves and support my health. I love that PCOS experts have given us real tools for healthy living! I love the recipes! 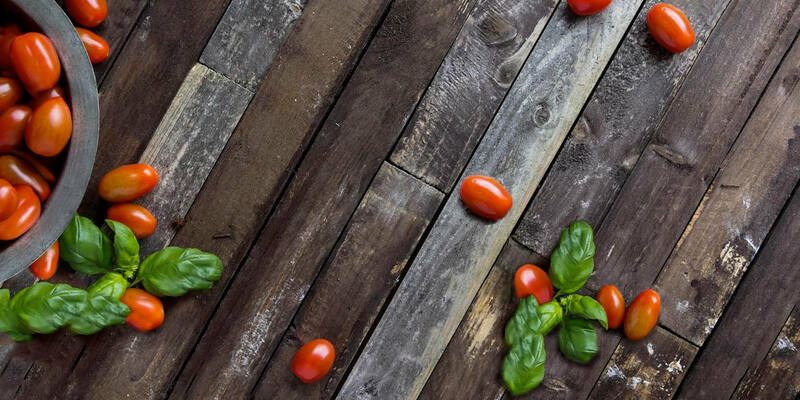 There are a large variety of foods, that are relatively easy to follow! I cannot wait to cook all these healthy meals! I commend Angela Grassi for creating a cookbook completely geared towards women with PCOS. The colorful photographs and easy to read layout as well as the four week meal plans and shopping lists make this book a great resource for busy women with PCOS who are trying to make important lifestyle changes. I recommend this book to patients who are looking for an easy to use cookbook and dietary guide to improve their PCOS symptoms and overall health. Having PCOS herself, Angela knows how challenging living with this condition can be. She has dedicated her career to being on the leading-edge of helping women with PCOS improve their health and their lives through evidence-based nutrition. I found it helpful that the book includes 4 week meal plans, as well as a shopping list to complete it all–as someone who plans meals weekly, and tries to eat as healthy as possible, it was great to have delicious meals that I knew were healthy for me, and my PCOS.